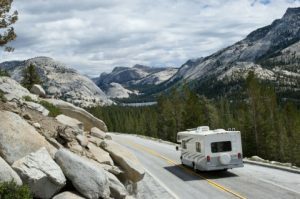 Spring is on the way, and if you’re like many RV owners in the Houston area, then you might be planning to hit the road as the season comes into full bloom. In today’s post, we’ll provide you with a few tips that can help you prepare your RV for a spring road trip. MobileTech RV Repair provides fast and affordable RV repairs in Houston. Whether you need a simple tune-up or you want to renovate your RV from top to bottom, the MobileTech team is always ready to help. 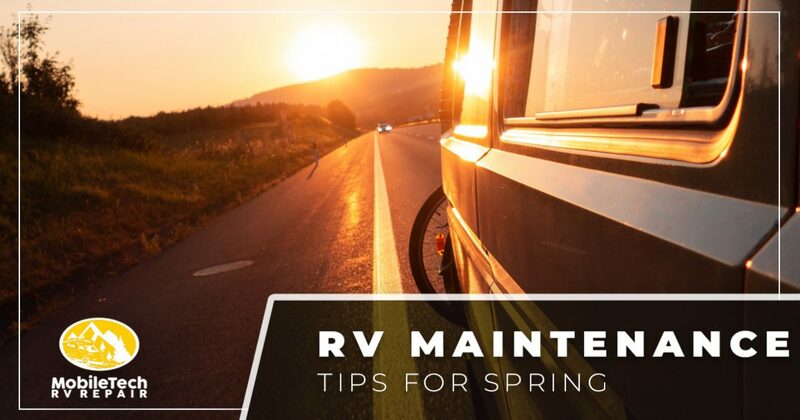 Read on to learn how you can prepare your RV for spring, and get in touch with us here to schedule an appointment! If you’re anything like the majority of RV owners, then you almost never see your RV’s roof. It’s almost always out of sight, which means that it’s also out of mind. However, it’s important to periodically check your RV’s roof for scratches, holes, and other signs of wear and tear. A small hole or crack can allow water to slowly drip into your vehicle’s interior, potentially causing water damage and creating the ideal conditions for mold growth. We can perform rubber roof repairs in addition to fiberglass, aluminum, and vinyl roof repairs, so give us a call and schedule an appointment if your RV’s roof has been damaged in any way. It sounds simple, but make sure that you check your battery before you hit the road. Many RV owners are so excited to pack up and leave that they forget to check their battery’s charge. The last thing you want is to be stuck on the side of the road as you’re heading to your destination, so either purchase a home testing kit or bring your vehicle to MobileTech RV Repair for an inspection before your trip. No matter what you drive, ensuring that your brakes are working properly is one of the most important things you can do for yourself and other drivers. If your brakes are squealing whenever you pump them, or if you’re having difficulties coming to a complete stop, then bring your RV in and we’ll provide you with the RV brake repairs you need to stay safe on the road. Oil changes are easy to forget about, especially if you haven’t used your RV in several months. While it’s recommended that you invest in an RV oil change every 3,000 to 5,000 miles, the start of a new season is an ideal opportunity to put fresh oil into your vehicle (especially if you can’t remember when the oil was last changed!). We hope that today’s entry will help you as you prepare your vehicle for a springtime adventure. Keep an eye on our blog page, as we plan to continue this series in a future installment. MobileTech RV Repair proudly provides a variety of RV maintenance services in Houston. View our complete list of services on this page, and fill out the form below to request an appointment!